BPA free 600ml food grade stainless steel drink bottle with a push/pull mechanism and a secure over cap. Designed specifically for stunning, dishwasher safe, full colour wrap around branding. Eco Safe: Stainless steel does not require a plastic liner ensuring a chemical and odour free beverage. It has an indefinite life span which keeps your logo in the public arena longer and also helps to limit the use of disposable plastic bottles that can end up polluting the environment. All materials used are recyclable and BPA free. Dia 73mm x H 207mm. 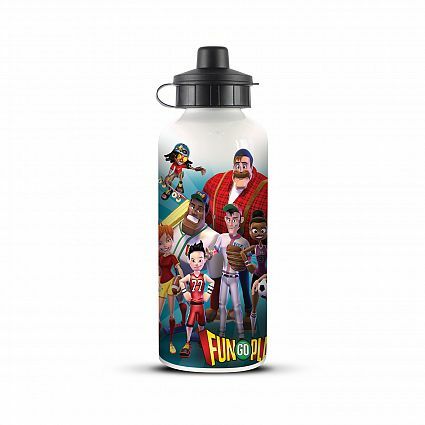 Sublimation print / digital print drink bottle.